Social choice theory addresses the methods and processes of collective decision making. Applications range from preference aggregation in small committees, voting in democratic elections at the regional and national level to questions of fair resolution of conflicting interests. Important properties of aggregation methods are, for instance, anonymity,unanimity, efficiency, monotonicity and strategy-proofness(incentive compatibility).Our research is devoted to the identification and design of aggregation methods that combine such properties. a > b > c > a. The absence of majority cycles can only be guaranteed under suitable domain restrictions, such that single-peaked preferences, preferences with ‘value-restrictions' or single-crossing preferences – these are so called Condorcet domains. Puppe and Slinko (2015) prove that all (closed) Condorcet domains satisfy a so called intermediateness condition with respect to an appropriate median graph. This property allows us to investigate the Condorcet domains in more detail. We empirically test different voting rules in the allocation of public projects in a laboratory experiment. The mean rule is highly manipulable theoretically and we find indeed that subjects have a strong tendency to play the corresponding Nash equilibrium strategy. In contrast, median-based rules are more difficult to manipulate, and sometimes truth-telling is a weakly dominant strategy. While most subjects play a best response to truth-telling of all other voters, a significant fraction of them does not vote truthfully themselves. We study the effect on the participation rate of different voting rules in the context of a simple resource allocation problem. While the impact on the social outcome under the mean rule is small for large electorates, it is certain and always greater than zero. By contrast, the impact under the median rule has large variance. We theoretically analyze the individual impact on the social outcome for different preference distributions under the mean and the median rule. For some preference distributions the expected impact on the social outcome is larger under the median rule than under the mean rule.This raises the question whether the differences in the individual impact has implications for the participation rates under these voting rules. In a field experiment, we test whether, and how, voter turnout varies with the voting rule and we elicit beliefs about the impact on the social outcome. Strategy-proofness requires that truth-telling is a (weakly) dominant strategy for all individuals in a collective decision making process. We introduce the concept of robust strategy-proofness on a domain which imposes a stronger requirement for the preferences all other agents have. While in general a strictly stronger requirement, our main result shows that for all tops-only social choice functions strategy-proofness and robust strategy-proofness on minimally rich domains are equivalent. One important appeal of strategy-proofness is the robustness that it implies. Under a strategy-proof voting rule, every individual has an optimal strategy independently of the behavior of all other voters. In particular, optimal play is robust with respect to the beliefs voters may have about the type and the behavior of the other voters. Following Blin and Satterthwaite (1977), let us call this property "belief-independence". In this paper, we give a number of examples of voting rules that are belief-independent but not strategy-proof. However, we also show that belief-independence implies strategy-proofness under a few natural additional conditions. We also introduce a novel condition of robust strategy-proofness which strengthens strategy-proofness by requiring that no voter can benefit by submitting any unrestricted preference ordering given any unrestricted preference profile for all other voters. Robust strategy-proofness is shown to be a strictly stronger property of a voting rule than the usual notion of strategy-proofness. However, under natural additional conditions the two properties are equivalent. It is proved that, among all restricted preference domains that guarantee consistency (i.e. 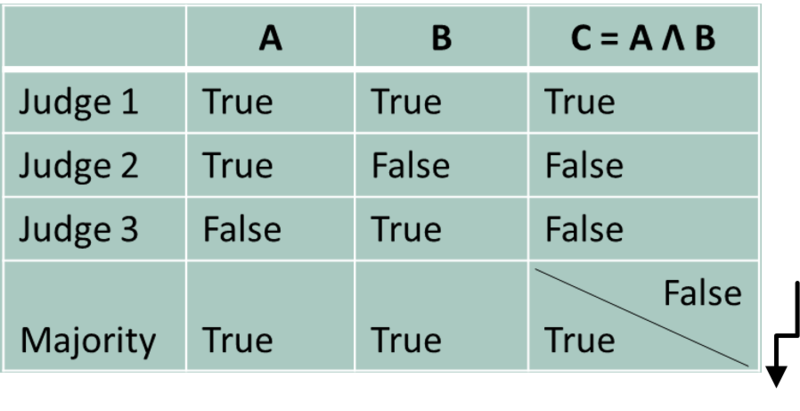 transitivity) of pairwise majority voting, the single-peaked domain is the only minimally rich and connected domain that contains two completely reversed strict preference orders. It is argued that this result explains the predominant role of single-peakedness as a domain restriction in models of political economy and elsewhere. The main result has a number of corollaries, among them a dual characterization of the single-dipped domain; it also implies that a single-crossing (‘order-restricted’) domain can be minimally rich only if it is a subdomain of a single-peaked domain. The main conclusions are robust as they apply both to strict and weak preference orders. Economic experiments enable the development and testing of new theories that aim at explaining agents’ economic behavior. By using controlled conditions, both in the lab and in the field, deviations from classical assumption in subjects’ behavior can be documented and classified. The importance of such experimental research has grown steadily during the last decades.